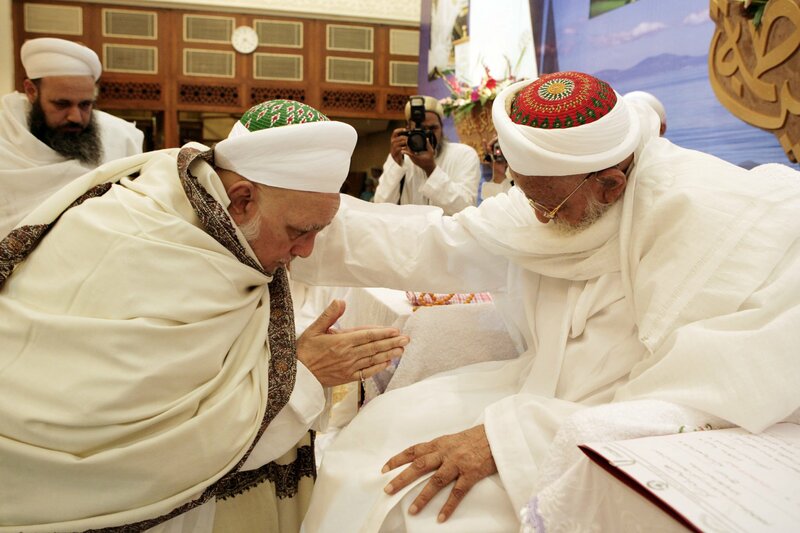 Syedna Taher Saifuddin RA conferring Syedi Hakimuddin Saheb with an Aljamea degree. Aljamea’s senior most rector, al-Syed al-Ajal Syedi Maʾzūn Saheb Shahzada Qasim Bhaisaheb Hakimuddin, passed away in the early hours of the 20th of Rajab al-Asab, 5th April, 2018. Syedi Saheb was busy preparing for the first day of Aljamea-tus-Saifiyah’s al-imtihān al-shafahī (viva voce examinations), which he had led for decades, expending even the very last moments of his life in the service of Aljamea. Born on the 16th of Rajab al-Asab 1350 AH (26th November, 1931), Syedi Maʾzūn Saheb was the 6th son of the 51st al-Dāʿī al-Mutlaq, His Holiness Dr Syedna Taher Saifuddin RA. He humbly and dedicatedly served three dāʿīs in diverse capacities all through his life. 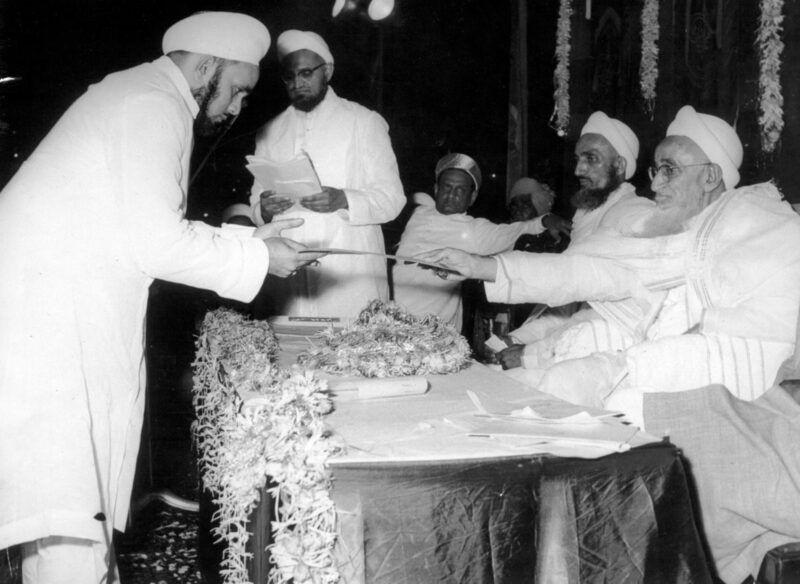 After completing his primary and secondary education in Mumbai in tandem with private instruction at the hands of his respected father His Holiness Dr Syedna Taher Saifuddin RA, Syedi Maʾzūn Saheb went on to acquire a Bachelors and Masters from Bombay University. 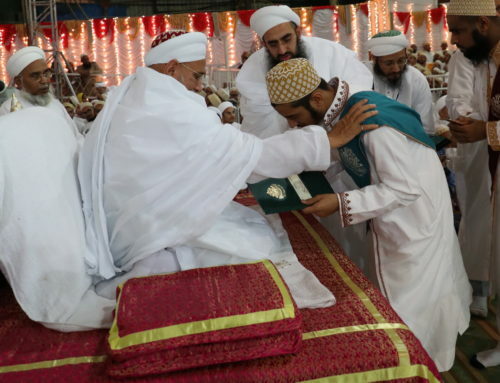 In recognition of his academic achievements, Syedna Mohammed Burhanuddin RA awarded him the degree of al-ʿAlīm al-Bāriʿ (The Outstanding Scholar) and, for his services to the Daʿwa, the title of Thiqat al-Daʿwa al-Tayyibīya (A Most Trustworthy Member of the Tayyibī Daʿwa). He conducted regular asbāq (instruction sessions for religious knowledge, especially esoteric knowledge) for different groups of the community, often holding multiple sessions in a single day. Syedna Mufaddal Saifuddin TUS appointed him as the Mukāsir, and subsequently elevated him to the position of Maʾzūn of Daʿwa, two high-ranking positions within the community underneath the dāʿī. After the passing of Amir al-Jamea al-Muqaddas Shahzada Yusuf Bhaisaheb Najmuddin in 1407/1987, Syedna Burhanuddin RA appointed in his stead four rectors for the Academy including Syedna Mufaddal Saifuddin TUS, Syedi Qasim Bhaisaheb Hakimuddin, Shahzada Abbas Bhaisaheb Fakhruddin and Shahzada Qaidjoher Bhaisaheb Ezzuddin. 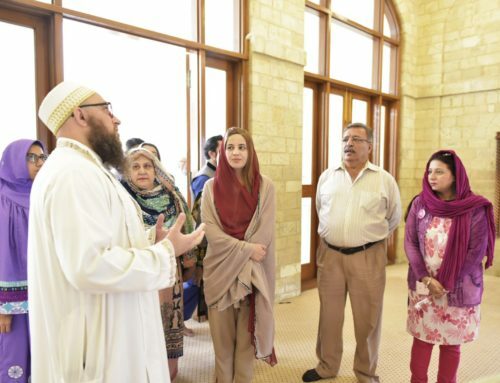 In over three decades as a rector of the academy, Syedi Qasim Bhaisaheb emphasised excellence both in academic as well as character development. A key strategy he deployed for this purpose was the strengthening of Aljamea’s Marāhil, i.e. the four stages of education from secondary to post-graduate that span the course of education at Aljamea. He believed that by adhering to specific philosophies at each of these stages; identifying the core concepts, skills and content students require as they progress from one to the next; and empowering those that oversaw the Marāhil with resources, students could achieve al-takāmul al-shakhsī, a complete, well-rounded personality. Syedi Saheb was instrumental in outlining the Academy’s three fields of specialisation — literature, history and jurisprudence — and spent countless hours counseling faculty and students both. Despite his many other responsibilities in the service of Syedna, he committed much of his daily schedule to Aljamea, regularly guiding and instructing administrators and faculty members in-person, over the phone, and in later years, through video-conferencing. He introduced a programme for educational training for teachers in Singapore and advocated for Aljamea graduates to pursue further studies at world renowned educational institutes in the West, often guiding them personally in choosing subjects and courses. 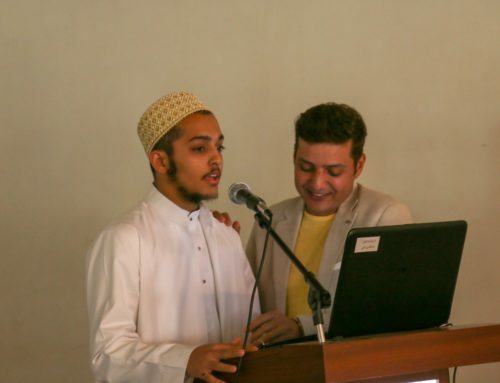 Of the many inspiring impressions one had upon meeting Syedi Saheb, his deep concern and love for Aljamea was one of the most apparent and moving. For the students of Aljamea, any reminiscence of Syedi Maʾzūn Saheb inevitably leads to memories of him conducting al-imtihān al-shafahī (viva voce examinations). His gentle firmness while conducting the examinations both kept students duly mindful of their answers and inspired them to perform their best. He would sit for hours on end posing questions to students. Intently listening to their responses, his constructive criticism and insightful comments were always enlightening for both the student and the audience. A commendation from him, often uttered as the phrase ‘ahsanta’ (well-done) during the viva voce proceedings, was most sought after and resulted in much admiration and felicitation from peers and seniors alike. Syedi Saheb Shahzada Qasim Bhaisaheb Hakimuddin spent the last moments of his life in Aljamea. As was his habit, he eschewed the comfort of living in his own home in Surat, opting instead to reside in a room in close proximity to the Iwān (ceremonial hall) where the viva voce exams took place. 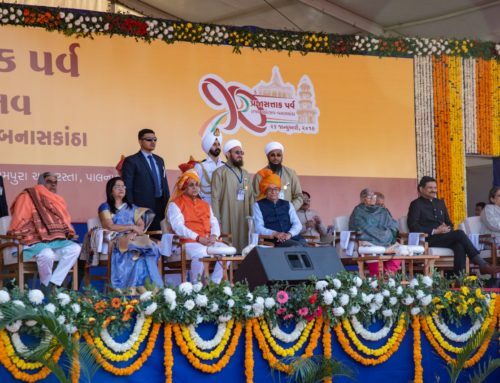 Having arrived only a few hours before from Mumbai after a long car journey, Syedi Saheb was preoccupied with the next day’s exams and busy in preparation. And it is in this condition, thinking of Aljamea, its benefactor and its students, that he left this world for his eternal abode. His Holiness Dr Syedna Mufaddal Saifuddin TUS presided over the janāzā namāz (burial prayers) of Syedi Maʾzūn Saheb in al-Masjid al-Muʿazzam and the burial rites. Syedi Saheb was laid to rest in the courtyard of the sacred burial complex where seven dāʿīs and past leaders of the community as well as several pious individuals are laid to rest. While reciting the burial prayers, Syedna Saifuddin TUS gave a short eulogy in memory of Syedi Maʾzūn Saheb and recounted his many praiseworthy qualities and his long list of dedicated and devoted services to the dāʿī and the Daʿwa. Thousands of community members came to pay their final respects as Syedi Maʾzūn Saheb was laid to rest in the vicinity of the academy he passionately served all his life. His long legacy of commitment and diligence in service will ever be remembered by Aljamea-tus-Saifiyah.